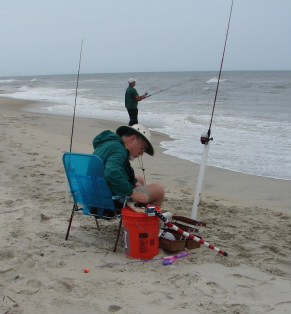 The key to single handed surf fishing is a four foot long pvc "pole holder" that is driven into the sand. My rubber mallet is in the buckett. I did catch fish on this adventure. 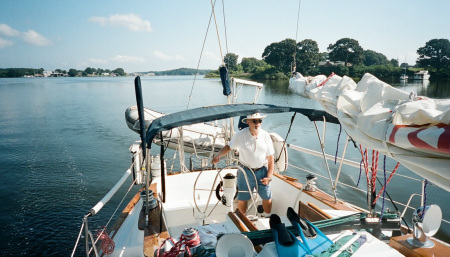 lines, we can steer the boat and give orders as good as any Captain. Take the plunge back into life. Single handed living can be enjoyable after stroke, but you must make the effort. Single handed swimming is one of the best aerobic exercises we can do and is still possible after stroke. 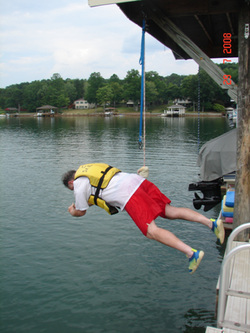 Don't forget the life jacket. It also helps pad for "belly flops" off the pier. Everyone's walking has to start with those first few steps. 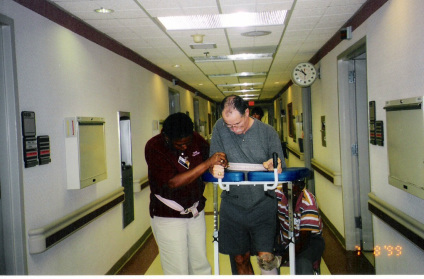 Here I am in the hospital on my first attempt to walk after my stroke at age 55.